We did not do it this time, but when we had visitors we took them to the Ullanhaug Farm Reconstruction, a reconstruction of a 1,500 year old Iron Age farm with realistic sights and smells. They made bread the old way, let us go into the houses, showed the food that was available then … Below is a picture we took in one of the houses. Here is information that I got from the Frommer's Guide that I copied. After their information I have included some of my thoughts and some of my pictures of the items. The Vikings will live on forever here, where 15,000 years of southwestern Norway's culture and natural history is on parade. Models of prehistoric life attract a lot of attention, as do the changing natural history exhibitions. Educational but fun films are shown periodically; call ahead to check the schedule. This museum is also the shelter for the public archive of antiquities for Rogaland. 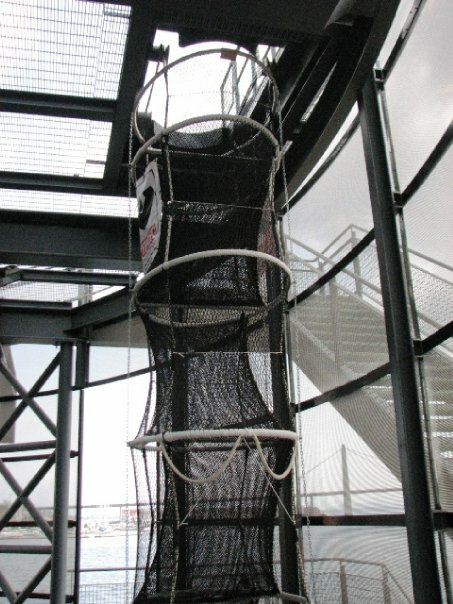 It's very family-friendly, featuring treasure-hunt games and other activities for kids. ----- I didn’t like this museum as much as the oil museum but it was ok. The first thing you need to do after getting your ticket is walk through to the very back of the museum. This museum only has one rather large room on the first floor. At the very back along the left hand side of the room on a shelf are books titled “Finds of Rogaland from Ice Age to Middle Ages”. This book will have a lot of details about the exhibits in the second half of the room that you will see. The book can be used while in the museum, just return it when you are done. It seems to me that they should be at the beginning instead of the end, but nothing you can do about that. Also next to the books is a rotating shelf that has Treasure Hunt sheets for the kids to fill out as the travel through the museum. Again, I think this would be better at the beginning. They have different ones for different ages in Norwegian and in English. They are split up for the following age groups: 4-7, 5-8, 8-10 and 10+. If the English pages you want are out, just go to the front desk and they can give it to you. The first half is an exhibit that changes every year and it is not in English. I found out several things by going up to the desk and just asking questions. For example, there is a skeleton in dirt at the very back of the museum. There is nothing, in Norwegian or English to describe what it is. It is (if I remember correctly) from 500 BC. It is a man’s body but the teeth appear to be female which suggests to them that the man was buried on top of the body of his wife about 10 years later. She said that the soil had been “sour” so it ate the woman’s bones up but her belongings were also found in the grave, a comb, a needle for sewing and other items. Also, by the front desk is a café. There is a skeleton of an animal here but the description was only in Norwegian. They told me that it was actually the skeleton of a Polar Bear that tests show died about 10,600 years ago. They think it weighed about 600 kg (~1323 lbs) It was in such a preserved state that they found the contents of its stomach contained partially digested seal and in its throat was a cod fish … she said it appears that it choked to death. 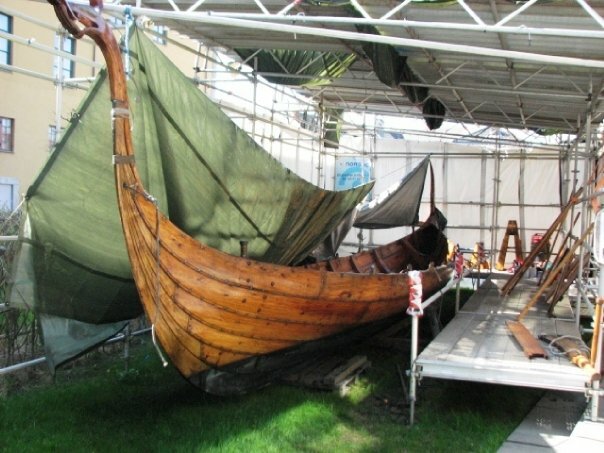 If you go out the doors here (no signs at all so I would not have known if it hadn’t been pointed out to me) to the garden, inside a tent is a copy of a Viking’s boat. She said it is just a reproduction as the only real ones at in the Viking Ship Museum in Oslo. Here is a picture of it. There is also an obelisk that was found lying down on the other side of the bushes that they were going to put into the exhibit in the future. When you are done looking at the downstairs it is possible (again, no signs in English so it’s hard to tell) to go up the stairs and watch the conservationists at work. There are, I think, 6 different enclosed offices with glass walls and you can watch them at work. You can also go up the small flight of stairs and look at the library but the books are all in Norwegian. 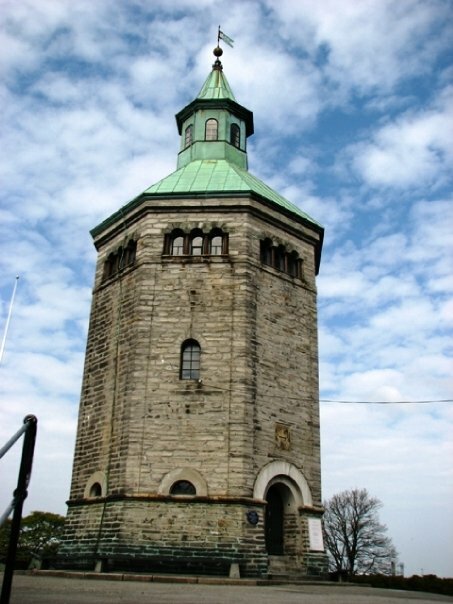 This is one of the great churches from the Middle Ages left in Norway and it stands reasonably intact. Constructed over a decade beginning in 1125, the cathedral was dedicated to Saint Swithun. It is said that Bishop Reinald sailed here from Winchester, England, with relics of the saint, to dedicate the cathedral. He carried with him what was said to be the arm of Swithun. A fire in 1272 swept over the Romanesque structure, destroying most of it. A major restoration from 1938 to 1942 was carried out that, for the most part, returned the church to a Middle Ages look. If possible, time your visit here to coincide with the organ recital at 11:15 a.m. on Thursday. In such an atmosphere, you’ll feel as if you’ve gone back 8 centuries. Free Admission. ----- It turns out that it is not an “organ recital”, it is a Mass service. Since we are not Catholic, I didn’t feel comfortable intruding on their service just to hear the organ. The hotel did tell me that everyone is welcome to attend but it is in, of course, Norwegian. 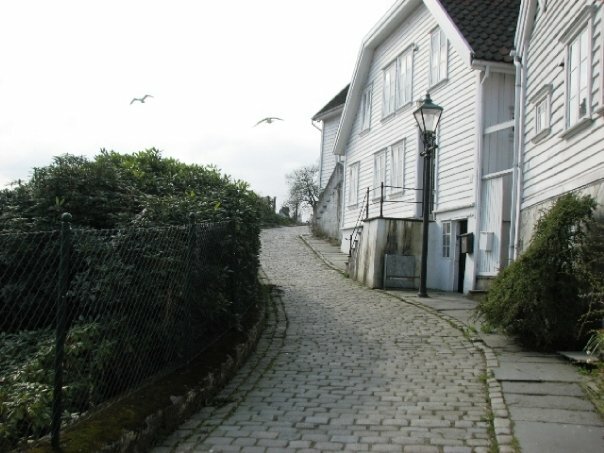 Gamle Stavanger, also known as Straen, is the largest surviving wooden house settlement in northern Europe. It is a beautiful area of little wooden houses and cobbled streets along the west side of the harbour - just where the cruise ships moor during the summer. Nearly all the houses are white (only a few are allowed to be another colour) and they vary in age from less than 100 to about 300 years. The houses are lived in and most are privately owned. There are little play areas, bench seats here and there. In the small park at the southwest corner, near the Straen centre are some sculptures. This is in central Stavanger. 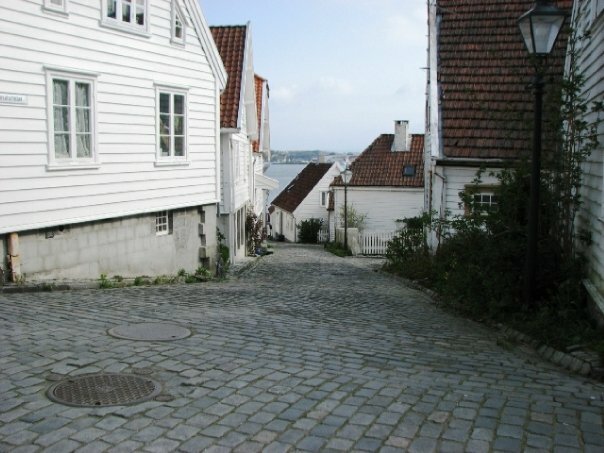 Walk from the fish market around the harbor clockwise taking any of the streets on the left up into Gamle Stavanger. ----- I loved walking these old streets. It was very peaceful and the little glimpses of the water were just beautiful! This is Stavanger’s museum of fine arts, both showing temporary exhibitions as well as an impressive treasure trove of art. The collection consists of over 2,000 paintings, drawings and sculptures. Most of these are by Norwegian artists from the beginning of the 19th century to present. This is a five-part museum that you can visit with just one ticket. If you want to see the entire museum, expect to spend the better part of a day scampering from one point to another across the city. At the main museum, called the Stavanger Museum, you’ll be given a map with the location of all the museums. Only open on Sundays from 11-4 except from 1 June to 31 August. ----- This was actually a seven-part museum. Here is the information below. 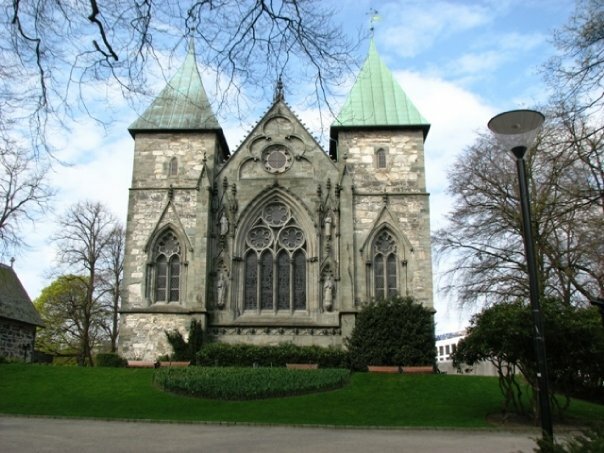 Stavanger Museum – Contains “Princess for a Day” exhibit – an exhibition of wedding dresses and wedding traditions; Cultural History Exhibition – tableaux of church life, craft workshops, daily life and much more. Activities for children in the summer; Zoological Exhibition – Common birds in Rogaland, bird migration charts and birds from around the world. The Norwegian Canning Museum – A living museum in a former cannery, displaying what was Stavanger’s main industry for nearly 100 years = canned fish foods. On the first Sunday of the month, and on Tuesday s and Thursdays in the summer, visitors have the opportunity to eat freshly smoked sprats (sardines). 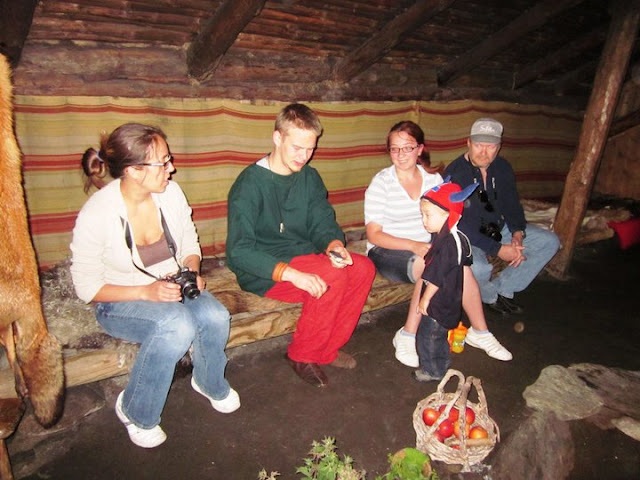 Norwegian Children’s Museum – Cultural history museum of childhood for everyone. You can climb up to The Scary Attic and into The Secret Tree House. You can paint or draw in the Workshop or embark on a Journey in the Toy Box. In the Labyrinth, you can discover new aspects of childhood and old toys will take you back in time to your own childhood. Ledaal – The Kielland family’s retreat built in the years 1799-1803, now an occasional royal residence and representation rooms. Furniture from 18-19th centuries. Commemorative room for the author Alexander L. Kielland. Breidablikk – Villa built in 1881-82 for merchant and shop owner Lars Berentsen. Outstanding example of the historicism style of architecture. Exquisitely preserved interior and exterior. Stavanger Maritime Museum – Stavanger’s best preserved merchant’s premises with a sail – loft, shop owner’s office and general store. The exhibitions in warehouses along the waterfront show shipping, shipbuilding and trade in Stavanger and Rogaland over 200 years. The exhibition “Sjauing på kaien” – an exhibition with activities for children, about the Stavanger-Ryfylke fjord traffic. Here children can play at being mate or able seaman, quay worker, market trader and postmaster. Audio tours in English. The Norwegian Printing Museum – here you will get a fine introduction to the old printing crafts, and they will show you how the herring industry gave birth to Stavanger's highly advanced graphical expertise. Opened in 1999, this is one of the most unusual museums in Scandinavia, and already a much-photographed landmark. 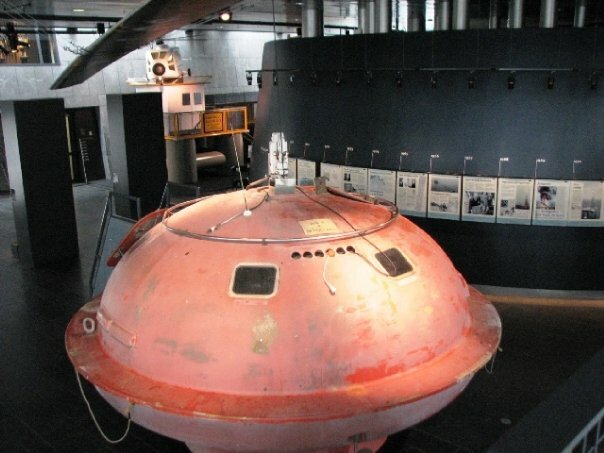 This museum documents how oil was discovered off the coast of Norway. This is a spectacularly dramatic museum, rising as it does directly from the waters of the harbor. It resembles a space-age jumble of tin cans, with hints of an offshore oil platform, and an avant-garde modern combination of stainless steel, granite and glass. The best parts of the museum are those that convey the huge shock and drama associated with Norway’s entrance into the oil industry. ----- This is something that I really enjoyed! We've taken all of our visitors here, including our 2 year-old grandson and everyone has loved it! Everything is in English and all of the films are in Norwegian and English. There are activities for all the kids including a 3D film of how oil is made, a survival capsule they can crawl into, a simulated helicopter ride to take them out to an oil field, emergency chutes they can go down into …. And so much more. There is even a room where they shut the lights off and sirens are going off and you are pretending to get out of a place that is on fire (small children are not allowed in here). The whole museum is very educational and fun.